I was just alerted to the fact that I have visitors to this page! You might have noticed it has been quiet for sometime, but I do enjoy coming back to read what I posted back when I kept this blog. It was such a creative time, just before and after having our first baby, and now we have two! 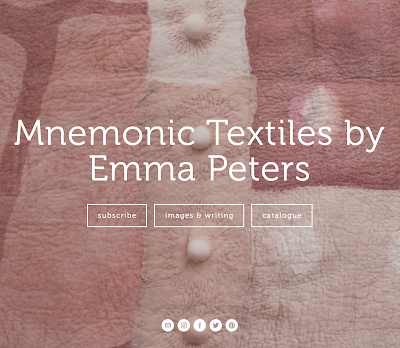 If you'd like to visit my new website, come over to Emma Peters: Textiles.